Summary: Few of us enjoy being bearers of bad news, particularly if our message might jeopardize our relationships with others. Yet the Lord often called upon His prophets to do just that in calling sinful people to repentance. This practice continued in the New Testament, as Peter, Paul, and the other apostles at times had to confront and rebuke sinners. It still continues today as Christ’s pastors proclaim the Law, warning sinners of the wrath to come. And though most pastors would rather get along peaceably with their congregations, they’re called to watch out for their flocks and to proclaim not only the sweet, saving Gospel but also the fullness of God’s wrath over man’s wickedness and His impending judgment of our sins. Therefore, Christian pastors remain as watchmen for the Church. Their message is constant: Jesus will return in glory to judge all the earth; those who believe in Him will be saved by grace, those who don’t will be condemned for the wickedness of their works resulting from their rejection of Christ’s full and free forgiveness. Since we don’t know the hour or the day, our watchmen remind us to be constant in faith, always ready for the end of time or for our own individual deaths. Text: [The Lord said,] “So you, son of man, I have made a watchman for the house of Israel. Whenever you hear a word from my mouth, you shall give them warning from me. “If I say to the wicked, O wicked one, you shall surely die, and you do not speak to warn the wicked to turn from his way, that wicked person shall die in his iniquity, but his blood I will require at your hand. 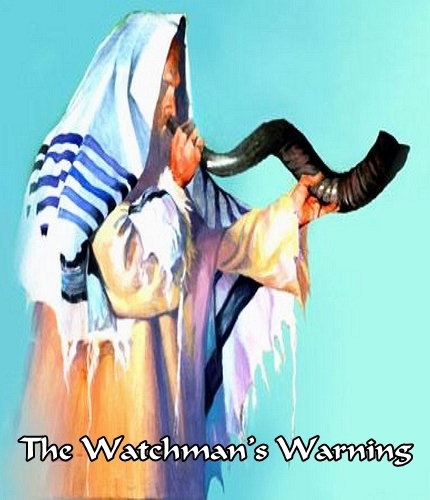 Audio: Click to hear the MP3 of The Watchman’s Warning.